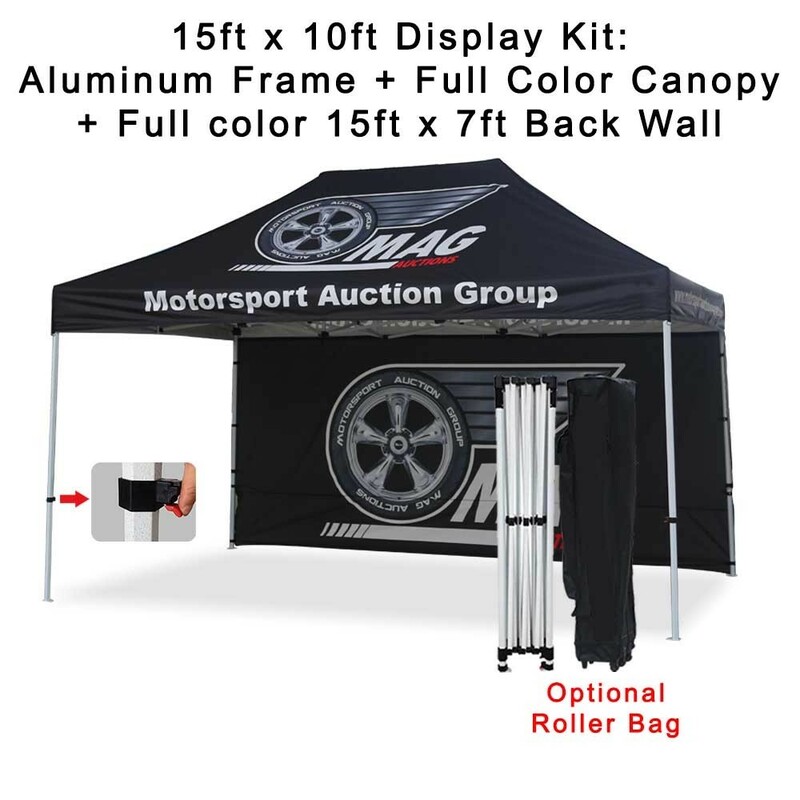 Event tent with full-color imprinting allow you to stand out at your event. 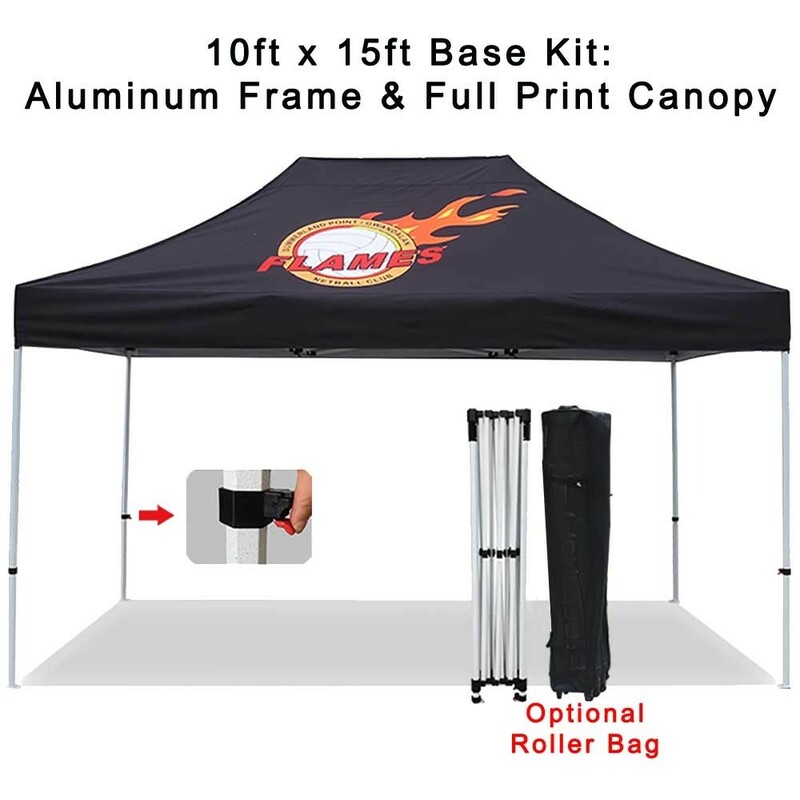 The larger tent makes a great team shelter or work space..
15ft x 10ft tent pops up in minutes—easy to use, easy to display creating the maximize exposure. The full color custom printed canopy is made from 500D polyester create great protection from the elements. Our user-friendly aluminum frame aluminum feature an easy push-button system for height adjustments. Full Color Dye sublimation print on the canopy created 360 degrees of visabiity. Perfect for bike races, beer festivals, trade shows and team events. Add a full back walla and half walls to complete your look. Half walls include top rail hardware. Ready to ship in: 7-10 business days from proof approval. Pop-Up Tent - 15ft by 10ft. Ideal for tradeshows, outdoor event. Sometimes called vendor tent, instant shelters or ez ups. Our high-quality aluminum frame and full-color dye sub printed canopy allow you to create an eye-catching display that will advertise your brand without limits and without breaking the bank.